Behold my first major animation project! This was the project me and my friend Sheng Xu (ArtofSheng.com) chose to do for our UNSW (University of New South Wales) graduation work. We wanted to showcase the highest quality work we could achieve in the CGI field, instead of focusing on elements such as story or duration. It has taken about five months amongst other university demands. We are very proud that it has won the “Best 3D CGI Animation Award” at our COFA exhibition, and hope that we can do more in the very near future. 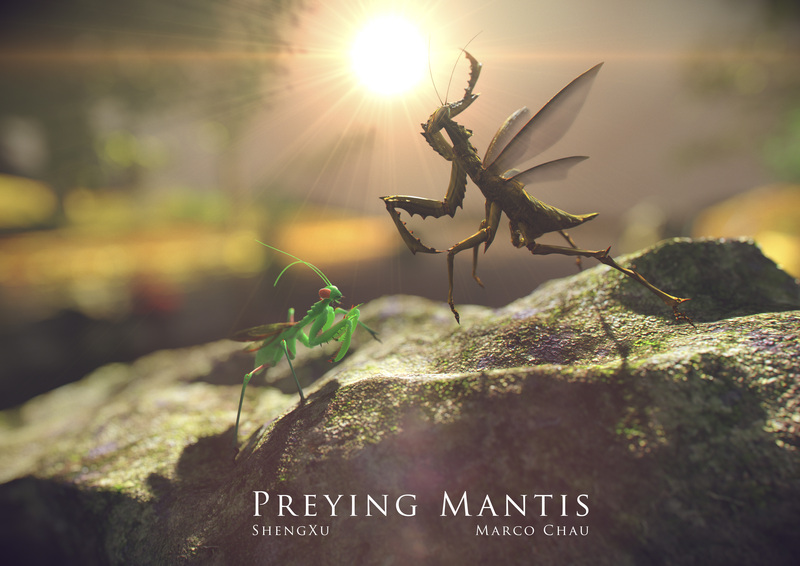 Posted in Blender, Generalist, Maya, Sculpt, Vray, ZbrushTagged Animation, animation project, Blender, Mantis, Maya, Preying, Sheng Xu, University of New South Wales, UNSW, VrayBookmark the permalink.